Wales’s leading office design and fit-out company, Paramount Interiors, has recruited two new staff to boost its sales team. Sara Barnett takes on the newly-created post of Sales Manager with Paul Doherty joining as Business Development Manager. A graduate in human biology and psychology from Plymouth University, Ms Barnett began her career in the medical industry followed by a period living abroad in Prague. 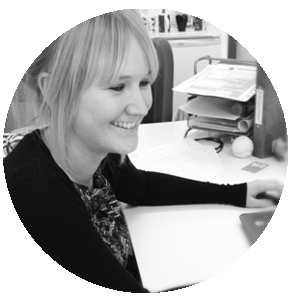 On returning to the UK, she studied an interior design course before pursuing a career in the office design industry, firstly with Workscape in Chippenham and more recently with Interaction in Bath. Originally from Bristol, Ms Barnett will be responsible for managing Paramount’s sales team and for generating new business in Bristol, the South West of England and along the M4 corridor. Mr. Doherty joins Paramount from interiors specialist Manser Saxon in Dubai. Prior to that he enjoyed a successful career as professional golfer and represented both Scotland and Great Britain in international competitions. Born in Glasgow but having moved to Wales in 1998, he will focus on developing the company’s sales in the Newport, Cardiff and Swansea areas. “We are making some exciting changes at Paramount and are growing our sales team in order to further increase our share of the office design and fit-out markets both within Wales and over the other side of the Severn Bridge. In November 2017, Paramount announced the promotion of Richard Jones to the position of Managing Director following the move by its former Managing Director, Andrew Roberts, to take up the role of Development Director of the Cardiff Parkway business park and railway station.